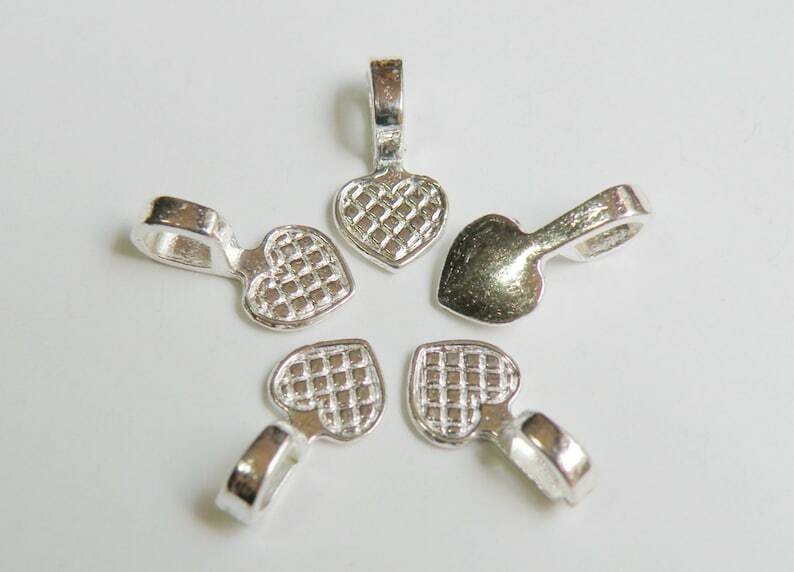 Small heart glue on bails in shiny silver plated lead free zinc alloy 16x8mm. Heart base is textured on the front to create a strong surface bond. Use a permanent glue to attach to a flat back focal component. Also available in shiny silver, antique silver, gold, antique gold, and antique bronze. Love the size of these!! Thanks!! Love These! Fast Shipping! Good Price!